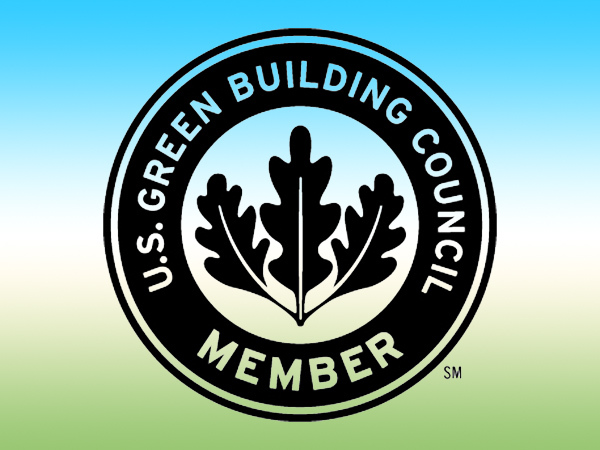 The U.S. Green Building Council (USGBC) is a Washington based non-profit which developed the Leadership in Energy and Environmental Design (LEED) Green Building Rating System. Contractors have a unique opportunity to help property owners save money and help the environment. Green is sweeping into construction in many ways. While some green building practices simply help the environment by reducing the need for raw plant materials, and others offer reductions in carbon footprint for individuals, commercial building contractors are in the unique position to go green on a large scale. An article in the wall street Journal notes, "In New England, businesses this year have agreed to cut electricity use by 1,222 megawatts when called upon, twice as much as last year." There are many ways to save energy. The bigger the building, the more to save -- and the more ways to save. While insulation is almost always the first thing New England contractors think of -- rising energy costs make it necessary to save energy in as many aspects of the construction as possible. In some cases, like roofing -- you can actually install materials that create energy. Solar roofing materials have come a long way since they were introduced in the 1980's. Photovoltaic roofing materials are available in the form of standard 3-tab asphalt shingles. There are PV systems which integrate with metal roofs, roll-roofing and many other types of roofing systems. A typical solar roof photo-voltaic system can produce approx. 15-18 watts per 100' square. Using materials like the 3-tab shingles which are rated "as roofing material" and will last 20 to 30 years -- saving the cost of electricity every day they are on the roof. Based on future rising energy costs (and the cost of "roofing" which would be needed anyway), a business owner could expect to recoup all associated costs in 10 to 15 years. Larger structures such as office towers with high demand HVAC systems are large energy users. Innovative architects are designing high efficiency cooling systems to shift demand to off-peak grid hours. In New York, during summer months, some large building's A/C systems freeze huge amounts of ice late at night for use during daytime peak cooling hours. Many building materials and systems which reduce energy consumption have large upfront costs. There are other passive energy savings to be had -- some which cost no more than the time to think ahead. In New England, developers, architects and builders can work together to site a building and it's features to save energy and make the building more habitable. Designing entrances with foyers using an inner door located 8 to 10 feet from the outer door can reduce drafts and overall heat or cooling loss. Awnings, canopies or extended roofs which cover entrances and walkways will also buffer the inside environment from the outside weather saving both heat and cooling costs and making the building more comfortable. Landscape features like wind break plantings of conifer trees, (species like arborvitae, spruce, etc, with lots of needles in winter), 30 to 40 feet along the north facing side can reduce winter drafts from cold air blasts. In the long run, going green is good for everyone. State, Federal and local "green" programs may offer grants, low cost loans, tax credits of other incentives to business owners who install alternative and renewable energy systems. Contractors who practice green building and understand the environmental as well as the construction costs and benefits and can provide the building owner with information on possible financial incentives will be positioned to tackle these new, interesting types of construction.